Beyond the Blue Mountains: Following the Road from Bathurst examines the history of New South Wales inland settlement and the ways in which this history is remembered. 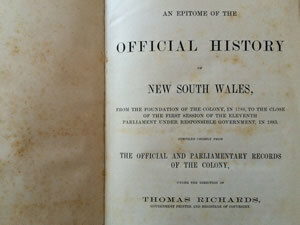 Historians provide an overview of key themes connected to this important period of NSW history. There are also videos to watch, manuscripts and articles to read and galleries of images to enjoy that provide insights into key aspects of this history. These webpages were launched to coincide with the 200 year anniversary of the proclamation of Bathurst as a town by Governor Lachlan Macquarie. Thank you to all the contributors who volunteered their knowledge and time in providing these online resources on this fascinating period of New South Wales history. We would also like to acknowledge the support of the Office of Environment and Heritage and Heritage Council in providing a generous grant to support this initiative. The inland settlement of New South Wales and the Beyond the Blue Mountains: Following the Road from Bathurst project – RAHS President, Carol Liston. RAHS President Carol Liston provides an overview of the inland settlement of New South Wales in the nineteenth century, following the 1815 European crossing of the Blue Mountains, and introduces the Beyond the Blue Mountains: Following the Road from Bathurst project. Explore the collection using the drop down menu below. The traditional owners of the land beyond the Blue Mountains were the Wiradjuri, which maintained a strong, complex and vibrant culture in which life, belief and everyday action were integrally linked to their land and its careful management. Family groups or small clans moved in an established sequence through the district that was their patrimony, living off the land, enacting cultural rituals, interacting with associated groups and managing their land to maximise food without pillaging its resources to the point of exhaustion. European settlers quickly clashed with the Wiradjuri since the most useful sites for the Wiradjuri were also attractive to these transgressors on their traditional lands. Sporadic warfare between Wiradjuri and Europeans persisted for some years. By the 1840s, the European victory was largely complete. The conduct of Wiradjuri traditional ceremonies and transmission of cultural knowledge was severely compromised. From the 1890s onwards, reserves established by the government contained and controlled the remnant Wiradjuri population. Poorly serviced, lacking any opportunity apart from menial and casual employment, life on the reserves was harsh, particularly when coupled with an unsympathetic administration. Nonetheless, the reserves enabled the Wiradjuri to maintain their group identity whilst fostering limited transmission of cultural knowledge and practice. 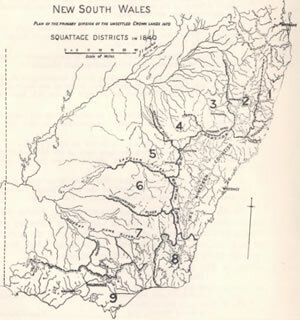 The gradual abandonment of segregationist policies by state and federal governments in the late twentieth century provided the opportunity for the Wiradjuri to overcome some of the legacies from the loss of their land and social fabric initiated when European settlement crossed the Blue Mountains. Historian for the Native Title Service Corporation, Michael Bennett, introduces his work on bringing together his research on Aboriginal Trackers in New South Wales. Michael Bennett provides a history of Aboriginal Trackers in New South Wales, with a particular focus on the trackers who worked ‘Beyond the Blue Mountains’. 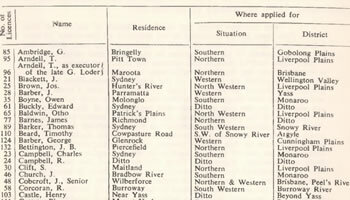 In 1919 the Society received queries from its members asking for advice on Aboriginal names for roads and homes. Read the answers provided by Captain James H. Watson, RAHS Honorary Research Secretary. 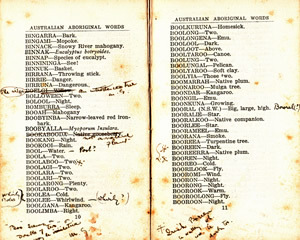 The RAHS rare books collection includes a little volume - Australian Aboriginal Native Words by the Reverend D.I. Watkin (published 1925). It was the personal copy of poet Dame Mary Gilmore, the woman on the $10 Australian bank note. She purchased it in 1928, perhaps as background reading for her volume of poetry, The Wild Swan, published in 1930. This volume mourned the destruction of Aboriginal traditional life. Mary Gilmore's copy is annotated with additional words and alternative meanings. She donated her copy to the Royal Australian Historical Society in 1947. A.P. Elkin, professor of anthropology at the University of Sydney, became interested in Aboriginal affairs in 1918. 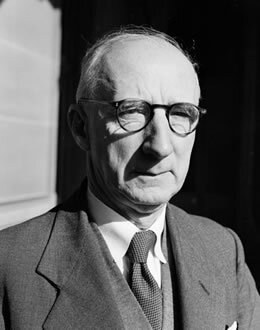 In this address to the members of the Royal Australian Historical Society in 1952, he discusses how his personal contact with Aboriginal people led to his active involvement in public policy and advocacy. The following is a selection of additional resources to further explore Aboriginal Cultures in New South Wales. 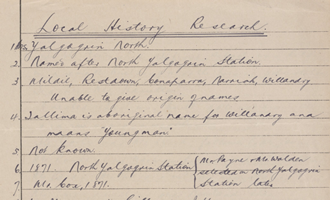 The State Library NSW provides a list of titles with family histories of the Wiradjuri people. AIATSIS is a research, collections and publishing organisation that promotes knowledge and understanding of Aboriginal and Torres Strait Island cultures, traditions, languages and stories, past and present. The australia.gov.au website contains an article with links to other government resources on the history of Aboriginal Trackers. The history of Australia’s wool industry is traditionally linked to John and Elizabeth Macarthur. While Macarthur was not the only one to breed from merinos, he was to have more enduring success than other pastoralists. The 1807 sale of his first bale of wool in England was a milestone in the history of Australia’s highly prized merino wool industry. 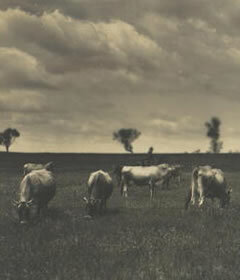 The developing pastoral industry saw a corresponding demand for land. Fortunately, this coincided with the 1813 successful crossing of the once impenetrable Blue Mountains and opening the land beyond. In 1818 Governor Macquarie issued the first grants of land beyond the Blue Mountains and thanks largely to the climate and the ideal grazing land the wool industry beyond the Blue Mountains developed quickly. By 1820 the New South Wales wool industry was firmly established when around 5,000 merino sheep, imported from Saxony, France and England, were crossed with the local sheep. Over the next 30 years the wool and pastoral industry continued to expand. Sufficient land was the key to the success of the wool industry. 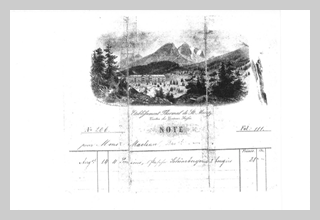 For those settling beyond the Blue Mountains there were land grants. Others could take advantage of the system of Depasturing Licences, introduced in 1837 to control unauthorised occupation or ‘squatting’. Other systems of land ownership and occupation developed over the nineteenth century. By the 1850s New South Wales was Britain's largest supplier of fine wool and the wool industry was the major export earner for the Australian economy until the later part of the twentieth century. RAHS Senior Vice-President Christine Yeats discusses the growing success of the wool industry, which coincided with opening of the land beyond the Blue Mountains to Europeans, and the resources available to research this topic. Part II of Christine Yeats talk for researchers interested in the pioneers of the wool and pastoral industries – whether they are settler, squatter or shepherd. 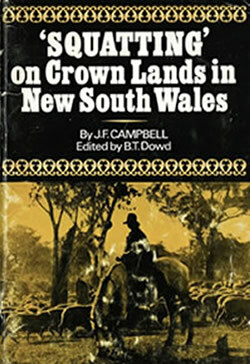 Introduction and Forward: Squatting' on crown lands in New South Wales / by J. F. Campbell. Edited and annotated by B. T. Dowd, 1968. This book draws on articles written by J. F. Campbell in 1929 & 1931 for the Journal of the Royal Australian Historical Society. It is a must read for anyone with an interest in the growth of pastoralism in Australia, and the introduction of a legal framework to regulate the occupation of Crown Land by Europeans. Read how pastoralists followed the trail of John Oxley (1784 -1828), explorer and surveyor of Australia. See a list of the first individuals who obtained a pastoral licence, published by the NSW Government on 18 January, 1837. Learn about the challenges faced in defining the district limits outside the new colony, and the government structures put in place to attempt to manage them. 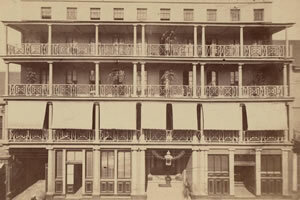 What were squatters protesting against at a meeting held in the Royal Hotel, Sydney, on 9 April, 1844? Read about the act that aimed to address the demands of the squatters and support the growth of pastoralism, critical for the economic development of the country. The following downloadable article is from the Journal of the Royal Australian Historical Society. We encourage you to explore our library catalogues for more resources on this theme – click here to access the RAHS Library Catalogues. The two decades after convict transportation to New South Wales ended in 1840 saw critical changes. The gold-rushes which began in 1851 were a dramatic catalyst. 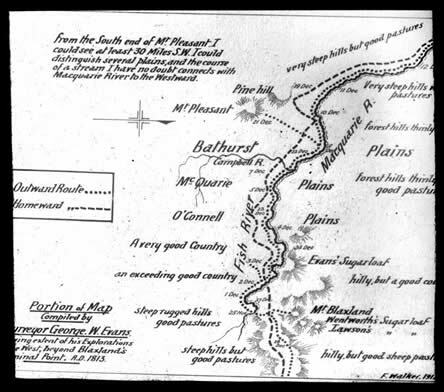 The exploitation of payable gold first in the alluvium of the Macquarie and Turon river systems in the hinterland of Bathurst, Orange and Mudgee, and then in underground reefs, created new centres of population, some relatively fleeting, like Hargraves, some more lasting, such as Lucknow. Traffic on the Western Road intensified, as hopeful diggers from all walks of life carried swags, pushed wheel-barrows or drove horses and carts, while coach services increased. Blacksmiths, carpenters, cobblers, bootmakers, butchers, storekeepers and innkeepers developed businesses in existing towns like Bathurst and Orange, in the new mining nodes and on pastoral properties like Brucedale. Graziers found a new local market for their sheep and cattle. Central government devised new licences and law-enforcement. Churches and police faced moral issues. Many employees left their work, seduced by gold, so pastoral properties and urban businesses suffered intermittent labour shortages. New immigrants were attracted by the gold-rushes, most strikingly the Chinese, whose disciplined labour and water management on the alluvial fields led to rancour among European miners and ultimately to restrictive legislation. 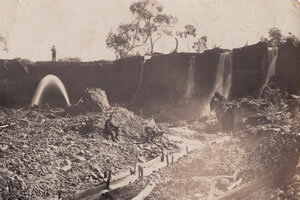 As alluvial mining declined from the 1870s onwards, the heavily capitalised exploitation of the deep reefs, sinking shafts and bringing in heavy crushing machinery, changed the nature of the mining communities and exacerbated the ecological impact on river valleys like the Turon, still so visible at Sofala or Hill End. Dr Ian Jack introduces his presentation on the discovery of gold in New South Wales beyond the Blue Mountains. 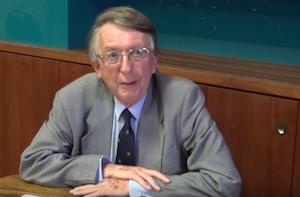 Dr Ian Jack expands on his overview of the impact of the discovery of gold in this talk. Objects tell important stories about our past. In 1919, the Society arranged a loan of the cradle used in the first discovery of gold by William Tom and James Lister for an exhibition on Australian relics. 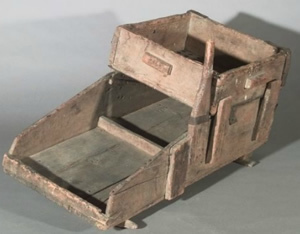 This 1851 gold washing cradle, used in the Ophir goldfields, is now part of the Powerhouse Museum Collection. History is often contested. In 1922, W.H.Webb of Bathurst corresponded with Karl Reginald Cramp, RAHS Secretary, about his concerns of the account of the discovery of gold in the Official History of NSW 1788-1883. The following is a selection of downloadable articles from the Society’s publications. We encourage you to explore our library catalogues for more resources on this theme - click here to access the RAHS Library Catalogues. Establishing towns and villages was part of government settlement policy. 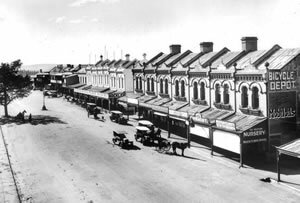 The first town, Bathurst, was formed around the flagstaff, which became the starting point for all land surveys in the district. Land for villages or towns was reserved in every parish but only a few developed into urban settlements. A crossing place over a creek, an inn, or a small group of settlers often formed the nucleus for a town or village that was later formally proclaimed. The presence of a Court of Petty Sessions usually ensured that small settlements graduated to town status. Owners subdividing their land established private towns. Most were stillborn but some became viable towns, such as Montefiores, near Wellington. The discovery of gold not only disrupted society and made a handful of men rich. Where gold deposits were extensive enough to support prolonged mining, settlements grew into towns. 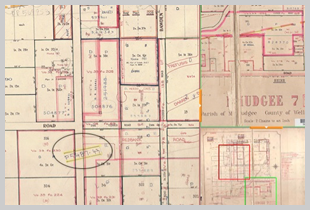 Gold towns such as Sofala, Hill End and Gulgong, did not evolve with the grid layout of the earlier government towns. The need to avoid existing mines, dams and water races, plus established dwellings and businesses meant the town layout was less regular than the normal government town. Other mining activity centred on coal, shale or limestone created the towns of Newnes, Portland and Lithgow. The extension of railways fostered a string of small villages along them such as Kerrs Creek, Dripstone and Mumbil. An attempt in the 1970s by the Whitlam Labor government’s Department of Urban and Regional Affairs to create a regional growth centre at Bathurst-Orange never succeeded leaving the existing town hierarchy undisturbed. Dr Terry Kass expands on his overview of the growth of towns beyond the Blue Mountains. On 28 November 1832, Colonial Secretary Alexander McLeay sent a letter and memorandum to the Surveyor General concerning the town of Bathurst. He stressed the urgent need to decide on the site of the town including the provision of roads and bridges and reserves for public buildings, the police, common spaces and a church. Alex Middleton and Francis Beresford Manning compiled a directory and tourist guide that provided a useful overview of the history, geography, businesses and industries of Bathurst, Blayney, Carcoar, Orange, Molong, Wellington and Dubbo to visitors. Need to find a brewer, fruiterer, milliner, dress maker or wheelwright who had a business at Bathurst and the Western Districts in 1886-1887? 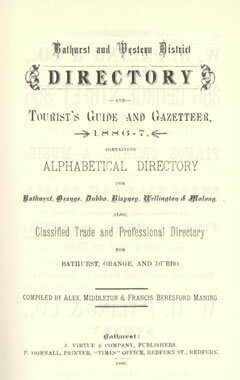 Consult the Professional and Trade Directory of the Bathurst and Western District Directory and Tourist's Guide Gazetter. Visitors to Bathurst and the Western Districts in 1886-87 could arrive very well-informed on the history, major industries, places to see and shop whilst in the area, by reading the Local Industries and Guide section of the Bathurst and Western District Directory and Tourist's Guide Gazetter . The following article is from the Society’s journal. We encourage you to explore our library catalogues for more resources on this theme – click here to access the RAHS Library Catalogues. Settlement beyond the Blue Mountains was not without its challenges. 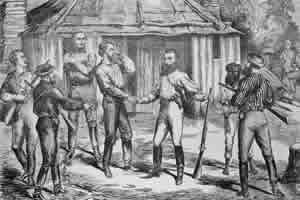 Between August and December August 1824 Governor Brisbane declared Martial Law beyond the Blue Mountains in response to attacks on stock stations by local Aboriginals. 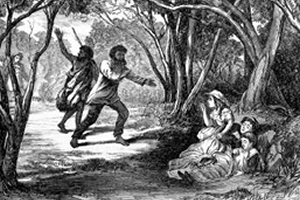 Beginning as early as 1790 with the first convict bushrangers and extending well into the 1860s – a period marked by a dramatic outbreak in bushranging - settlers and squatters alike had to contend with the bushranger menace. As well, there were others covering their bushranging and stealing activities with a mask of legitimate stock raising. As the squatters moved beyond the Blue Mountains Border Police were set up to preserve order. 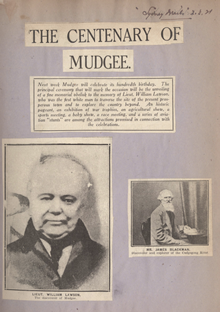 Two generations of the Lowe family of Mudgee had first-hand experience with local bushrangers. 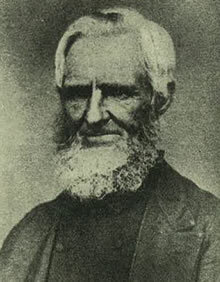 The assistance of Robert Lowe senior in apprehending the ‘notorious’ bushranger William Blackburn was noted by William Lawson. 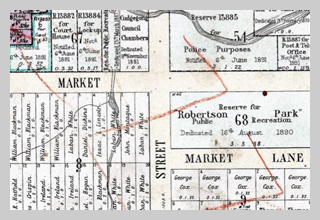 In April 1863, when Robert Lowe junior was travelling to Mudgee, he was held up by two armed men. He shot and killed one. The other – John Owens – escaped but was later caught and gaoled. Mr Lowe was awarded a gold medal for his bravery. Although a single police force had been established in 1862, amalgamating all existing police forces the force was criticised in the wake of the activities of Ben Hall's gang. The gang included John Gilbert and John Dunn the ‘teenage bushranger’. The Felons Apprehension Act 1865-1899 was passed enabling gangs to be outlawed. This Act made it possible for anyone to shoot them, rather than arrest and send them for trial. Bushranger Thomas Frederick ‘Fred’ Lowry or McGregor was born around 1836. In August 1858 Frederick McGregor alias Lowry was tried at Bathurst Quarter Sessions for horse stealing. Found guilty, he was sentenced to five years hard labour and was transferred to Cockatoo Island on 12 October 1858. Released from Cockatoo Island in March 1861, his life of bushranging began in earnest. On 1 January 1863 Lowry and John Foley threatened the crowd following a race meeting in the Brisbane Valley. A young man named Foran, probably in an attempt to disarm Lowry, rushed towards him. Lowry shot him in the chest. Despite his injury Foran wrestled Lowry, holding him until he was apprehended. While awaiting trial for ‘shooting with intent to kill’, Lowry and others escaped from Bathurst Gaol on 13 February. 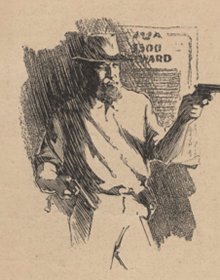 Teaming up with a group of bushrangers, Lowry embarked on a spree of robberies, hold-ups and probably fatally shooting a miner named McBride. On 13 July 1863 Lowry, Foley and Larry Cummins held up and robbed the Mudgee Mail Coach on ‘Big Hill’, west of the Blue Mountains, taking £5,700 in old bank notes. In pursuit of Lowry, Senior Sergeant Stephenson went to Vardy's public-house at Crooksvale on 29 August. Lowry eventually came out, a revolver in each hand. In the ensuing shoot out he was mortally wounded. Rallying briefly he asked a trooper to pray for him and to ‘Tell ‘em I died game’. The 27 year old Lowry died at 7.00 am on 30 August 1863. 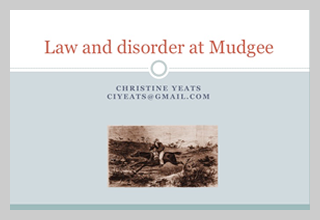 RAHS Senior-Vice President Christine Yeats uses case studies of bushrangers who operated at Mudgee to provide insights into ‘Law and Disorder’ during the inland settlement of NSW. Part II of Christine Yeats’ talk on bushrangers. 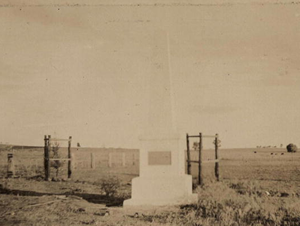 Stories of bushrangers have always fascinated the public. 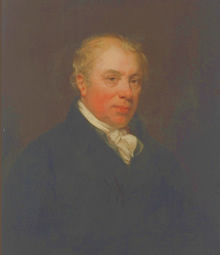 George Quicke, writer for The Lone Hand, gives 'the plain, unvarnished relation of the nearly tragic experience of the late Mr Keightley - then Gold Commissioner at Bathurst - with the Ben Hall band of outlaws in the year 1833'. The RAHS Library has a copy of this article annotated by Peter M. Rotton, brother of Mrs H.M. Keightley. 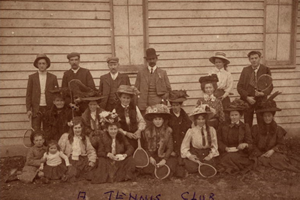 This downloadable article is from the Journal of the Royal Australian Historical Society. We encourage you to explore our library catalogues for more resources on this theme – click here to access the RAHS Library Catalogues. The greatest numbers of migrants coming to Australia after British colonisation in 1778, were British. Approximately 1.5 million British emigrants came to Australia in the nineteenth century to ease the labour shortage. Half of these were assisted by the government (2). In 1832, two ships came with single women to address the imbalance of the sexes and to provide domestic servants (3). Significant numbers of other cultures came, either in response to government programmes (eg German indentured labour) or as free citizens (eg Chinese labourers attracted to the goldfields in the nineteenth century). More than 120 different countries are represented in Australia today (4). There were many debates by colonial and British authorities about who should come, and rules and regulations changed frequently as labour needs changed. Germans were imported for their vine dressing and pastoral skills as these were not readily available in colonial Australia (5). 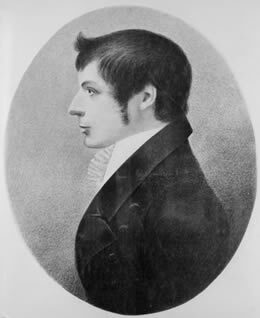 Some colonists such as John Macarthur and William Dangar personally imported their own German-speaking vinedressers, Macarthur as early as 1838 (6). Others such as James Walker of Mudgee used agents like Wilhelm Kirchner to import their labour. Walker had both Irish and German workers, a notable family being Rheinberger-Müller. Crossing the Blue Mountains in 1813, opened up new pastures and mining areas with an influx of diverse language groups, especially german and Chinese. As their indentures finished, many of these non-English speaking migrants bought their own land, developed it and raised successful families that still today own land purchased by their migrant forefathers (eg Rheinberger descendants of Mudgee; Müller descendents in Berry). 1. James Jupp (ed.) The Australian People, Victoria, Cambridge University Press, 2001. 2. Robin Haines, "Indigent Misfits or Shrew Operators? Government-assisted emigrants from the United Kingdom to Australia 1831-1860", Flinders University of South Australia, Working Papers in Economic History No 61, 1993, p 1. 3. Alan Atkinson, "Increased Immigration to Eastern Australia" in James Jupp (ed.) The Australian People, Victoria, Cambridge University Press, 2001, p. 29. 5. Kathrine M. Reynolds, The Frauenstein Letters - Aspects of the nineteenth century emigration from the Duchy of Nassau to Australia, Berne, Peter Lang, 2009. 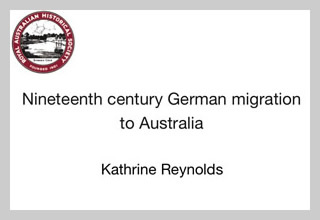 RAHS Treasurer Dr Kathrine Reynolds provides an overview of nineteenth century migration to Australia. 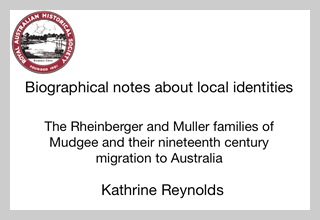 Dr Kathrine Reynolds discusses the Rheinburger and Muller families of Mudgee to highlight important aspects of German migration history to Australia. An exploration of the indentured-labour Catholic migration from the Rhine area of Germany to NSW, and a comparison with the Lutheran migration to South Australia in the nineteenth century. Much of the Australian understanding of this 19th century migration focuses on the Lutheran contribution to Australia and its culture while that of the Rhine Catholics appears neglected and often forgotten. Why is this so? Part II of Dr Kathrine Reynolds’ talk on nineteenth century migration to Australia. In the form of a letter to a nephew in England, this 103 page document is a typed copy of an account of what Cornishman George Hawke terms his “Colonial Experience”, over 44 years in New South Wales. Extracts of the diary appeared in the Journal of the Royal Australian Historical Society in 1937. 'Hawke's services as the father of the fruit industry in the western district entitle him to a place in the history of the state,' wrote Eric Ramsden, author of the article. The following is a selection of downloadable articles from the Society’s publications. We encourage you to explore our library catalogues for more resources on this theme – click here to access the RAHS Library Catalogues. The population that moved across the mountains to make a living in the pastoral industry or gold mining was an itinerant one, always in search of better grass or a new gold field. Frontier life was difficult for women and children. The situation changed from the 1860s. New land laws - the selection acts - opened up the squatting runs to small farmers. Men, women and even children could select a portion of land. They could buy the land on a time payment system that required them to meet certain conditions, such as living on their block and making improvements by building a house or fencing. If they met these conditions, they might eventually own their farm. A spectacular feat of engineering enabled the railway to cross the Blue Mountains. Bathurst railway station opened in 1876. As the railway network spread inland, it transformed daily life. Farmers could get their crops to markets in Sydney and heavy equipment could be easily carried over the mountains. Towns grew with a more settled population of farmers and their families. Schools, churches, shops and banks were needed. Court houses and post offices followed, bringing public servants to staff them and their families to add to the school age population. Professional services such as lawyers, stock and station agents and doctors were attracted to the larger towns. Immigrants looking for business opportunities found them in the hinterlands while local industries such as flour milling, breweries and cordial makers used local produce and provided jobs. The frontier had been tamed. Coming Soon - Land ownership is often viewed as a core part of settling down. 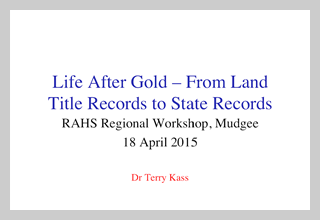 RAHS President Carol provides advice on how to research Mudgee Land Title Records. Land title records available through the SIX Portal provide essential historical information about freehold land, but what about land before it passed from the Crown or government into private ownership? Dr Terry Kass demonstrates how to access records held by State Records NSW about the occupation. This is a typed copy of the reminiscences of Robert Gordon Edgell, (1866-1948), who is best known for pioneering the canning industry and establishing the company Gordon Edgell and Sons. In this document, Edgell describes his life experiences and influences. 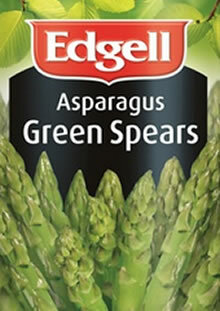 He discusses his life as an orchardist at Bradwardine following his retirement from the Public Service and his experiments with the growing of asparagus and development of the canning industry. In the 1920s the Society resolved to collect the reminiscences of the pioneering generations. This document was copied from the original written reminiscences of an unknown pioneer woman by Mr Fred Aarons on 12 December 1923. 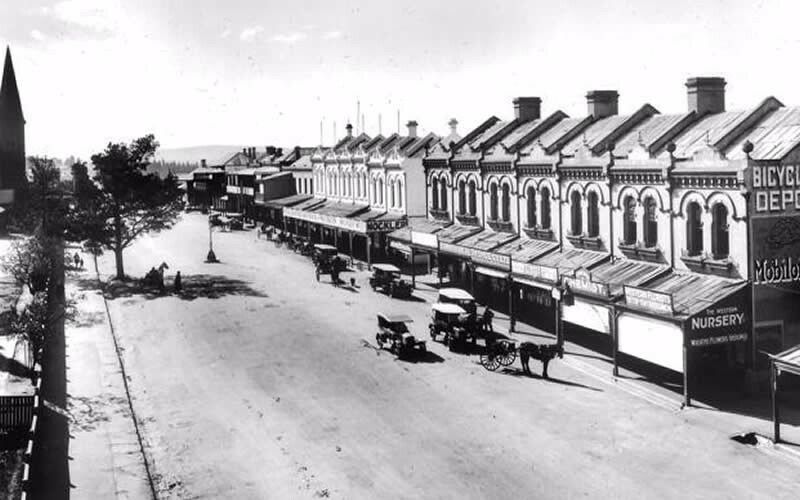 The nonagenarian relates her memories of Bathurst and its environs from the 1830s. The Royal Australian Historical Society, Australia’s oldest historical society, has been reflecting on our past since it was founded in 1901. In the twentieth century, the Society played a vital role in promoting the study of Australian history through supporting the collection of resources about Australia’s past, arranging visits to places of historical interest and encouraging people from all walks of life to write about their history. The project Beyond the Blue Mountains – Following the Road from Bathurst has built on the legacy of its members and the members of its affiliated historical societies. 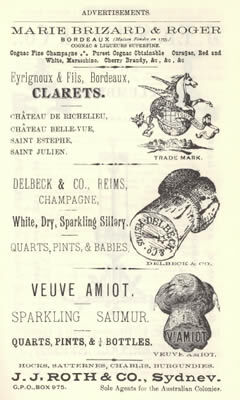 The materials on this website include nineteenth century manuscripts from the RAHS library collections, twentieth century articles from the Journal of the Royal Australian Historical Society and twenty-first century audio/visual materials and images courtesy of RAHS members and affiliated historical societies. They all provide a unique way of understanding the history of NSW Inland Settlement, and how we must always be willing to consider not only new sources, but also be receptive to new ways of looking at old sources and accepted narratives of our past. 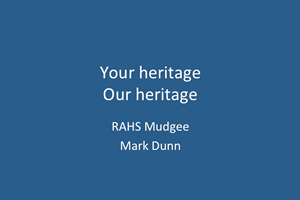 An important part of the project has been the regional seminars hosted at Young and Mudgee with support from local historical societies and libraries. They provided a forum to share skills, discuss different aspects of practicing history and heritage, and highlight research findings on local community history. RAHS Councillors also had an opportunity to see first hand the work of the historical societies at Young, Bathurst, Gulgong, Molong and Wellington and to discuss how the Society can best help them research and promote their history. The Society is committed to supporting all of its members and affiliates in reflecting on Australian history. We welcome feedback on ideas for resources and seminar programs that can help promote your history. Reflecting on our past requires historical research. RAHS President Carol Liston provides an introduction to Land Research, a very popular topic for RAHS workshops and seminars. Heritage sites and buildings help us reflect on the history of our community. Mark Dunn discusses local and state heritage listings. Historical photographs and images provide insights into our past. 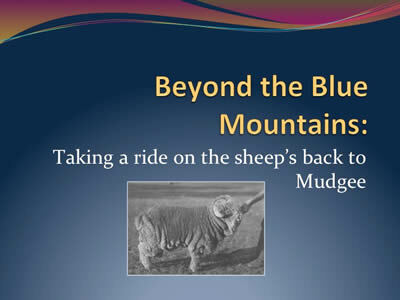 RAHS Indexer Malcolm Skewis shares his experience in indexing materials from the RAHS Collection for the ‘Beyond the Blue Mountains: Following the Road from Bathurst’ project. Malcolm Skewis provides an overview of the process of indexing digital collections, in particular photographs and glass slides. 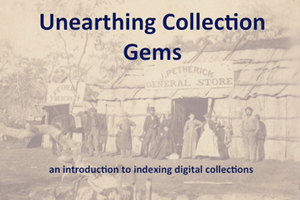 Indexing is a critical component to ensure that researchers find the gems in your historical collections. 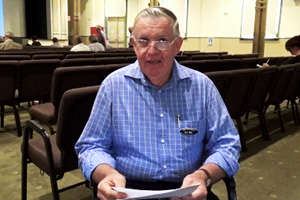 Barry Wells, descendant of Colonial Surveyor Williams Henry Wells (1815-1860) tells the story of his significant ancestor during a break in proceedings at the RAHS Mudgee Regional Seminar in April 2015. 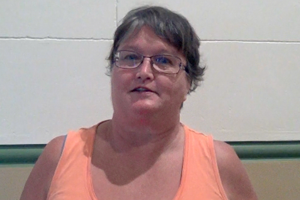 RAHS Member Hazel Ford shares her experience of the Mudgee Regional Seminar in April 2015 and current research. 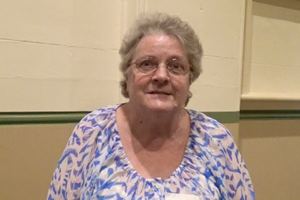 Gulgong resident, genealogist and Mudgee Regional Seminar attendee, Lynne Hawkins, discusses her current land title research and experience at the seminar. 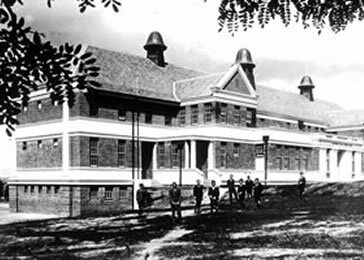 In 1921 RAHS President Karl Reginald Cramp and RAHS Honorary Secretary Charles Henry Bertie wrote a memorandum to the teachers of New South Wales encouraging them to promote local history in their schools. The memorandum included a list of suggested questions for class research. 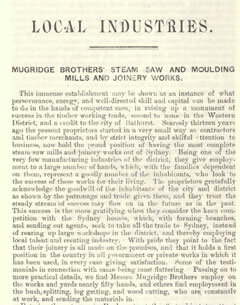 The Society's Twenty-First Annual Report from 1921 contains an overview of the project. This two page handwritten document appears to be a list of answers to questions about the township of Yalgogrin North and surrounding district. It was probably a class exercise set by H.B. Colmer, headmaster and, in 1922, the only teacher at the local school. This three page handwritten document is the contribution of George Rumble to a 1921 research project on the history of Grenfell by the 6th, 7th and 8th classes of Grenfell Superior Public School. Karl Reginald Cramp, ‘One hundred and nineteenth anniversary of proclamation of Bathurst’ (4 MB), Journal of the Royal Australian Historical Society, volume 20, part 4, 1934, pp 232-238.